Source: The 4-Ingredient Diabetes Cookbook, 2nd edition. Recipe Credit: Nancy S. Hughes. Photo Credit: Tara Donne Photography. 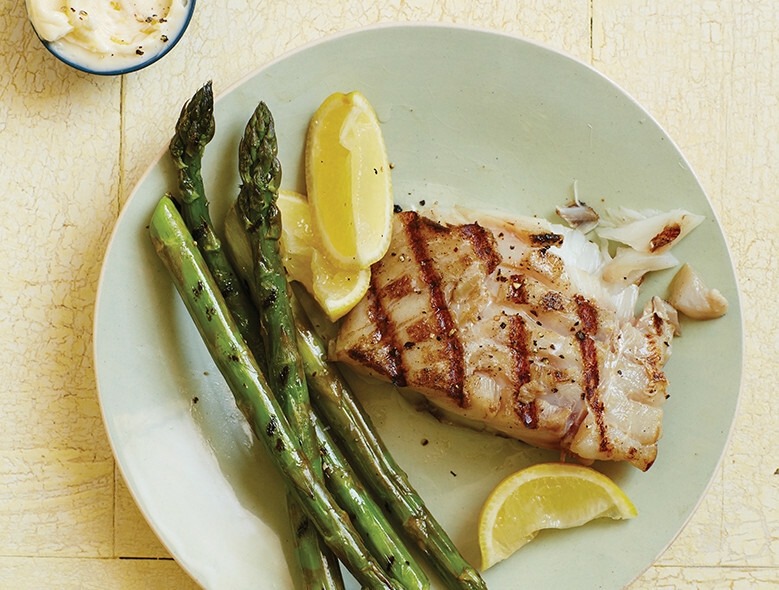 This quick and easy fish recipe may be the perfect weeknight summer dish. With just a few ingredients, you can have a beautiful, heart healthy, and diabetes-friendly meal on the table in about 15 minutes. This and other recipes designed to be made from just a few ingredients are from The 4-Ingredient Diabetes Cookbook, 2nd edition, by Nancy S. Hughes. To order directly from the American Diabetes Association, click here. Heat a grill or grill pan over medium-high heat. Coat the asparagus with cooking spray and cook 6–8 minutes or until just tender-crisp, turning occasionally. Set aside on a rimmed serving platter and cover to keep warm. Coat both sides of the fish with cooking spray, sprinkle with 1/4 teaspoon black pepper, if desired, and cook 3 minutes on each side or until opaque in center. Meanwhile, combine the light butter, lemon zest and 1/4 teaspoon salt, if desired, in a small bowl. Spoon the butter mixture over the asparagus and spread over all. Top with the fish and squeeze lemon juice over fish.